On Wednesday, June 6, more than 220 attendees from a five state region will converge at the Science Center in Des Moines, Iowa, for a very special “Beyond the Keynote” event with Brian Solis. You can scroll down for a list of some of the 70+ businesses and organizations and 17 schools, colleges and universities being represented at the event. 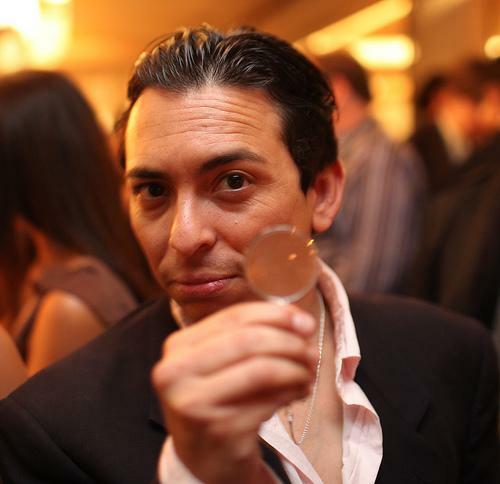 Brian Solis is globally recognized as one of the most prominent thought leaders and published authors on the effects of emerging media on business, marketing, publishing, and culture. His book Engage! is regarded as an industry reference guide for businesses to build and measure success in the social web. His most recent book The End of Business as Usual provided critical insights on how the consumer revolution is changing the future of business and media. On the afternoon of June 6, Brian will be in Des Moines for a special event, presented as part of the Social: IRL “Beyond the Keynote” series. Brian will discuss issues critical to the future of business, such as surviving “Digital Darwinism,” the rise of the connected consumer, the evolution of social business, disruptive technology and how to compete for the future, the psychology of engagement, and the rise of digital influence. Brian will also participate in a unique bigger dialogue style fireside chat, a format that goes deeper and on a more personal level than the typical keynote. There will be opportunity for audience Q&A, and an opportunity to join Brian and fellow attendees for special post event networking. Thanks to presenting sponsors CDS Global and Catchfire Media, register using promotional code IRL50 and registration will be just $50. Additional event sponsors include Central Iowa PRSA, Iowa Innovation Gateway, Startup City Des Moines, and Downtown Des Moines. Attendees registered on or before May 31 will also receive a free copy of Brian’s book, The End of Business as Usual. A limited number of free student and educator registrations are available on a first come basis. Visit the event page for full details and registration. Attendees are traveling to the event from Kansas, Missouri, Nebraska, Minnesota and Iowa. We’ve listed below businesses and organizations so far registered. You can also view the complete attendee list on the Eventbrite registration page.